Janak Positioning & Surveying Systems Pvt. Ltd.
RTS350 series features Sunlight readable TFT LCD user interface along with in built powerful softwares for almost all spatial measurement jobs. It can measure 500m/1000m without any prism with upto 1" Angular accuracy. USB/Bluetooth equipped. TS680 series total station is FOIF's new products, Featured with 32bit CPU, SD card, bluetooth and build-out temperature&pressure sensor, it work more convenient and quickly.It can be widely used for building setting out, road layout, topography survey and control sruvey, etc. 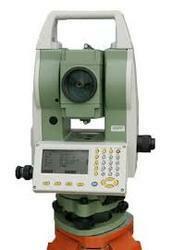 FOIF provides total station solutions to meet all your surveying needs. Measurements have never been so easy to perform as with the FOIF Total Station, which allows beginners and professionals to do the job quickly and efficiently. Distance measurement, Coordinate measurement, Angle measurement and Data processing- A Total Station (TS) has it all. Our FOIF TS has optional Touch screen/ Windows/ USB, Bluetooth interface/ Data collector/ On-board softwares, a complete tough package. - FOIF new generation Windows CE total station, compact design for convenient use, more advanced features make you enjoy survey work. - Equipped with 3.5" colour TFT LCD (320 x 240 dots) touch screen, transflective sunlight readable display, easy to see in the sunshine.